On the eve of World War II, news of an astonishing breakthrough filtered out of Germany Scientists there had split uranium atoms. Researchers in the United States scrambled to verify results and further investigate this new science. Ominously, they soon recognized its potential to fuel the ultimate weapon-one able to release the energy of an uncontrolled chain reaction. By 1941, experiments led to the identification of plutonium, but laboratory work generated the new element in amounts far too small to be useful. Fearing the Nazis were on the verge of harnessing nuclear power, President Franklin D. Roosevelt gambled on an ambitious project to research and manufacture uranium and plutonium for military use. As research continued, engineers began to construct massive buildings in an isolated eastern Washington farming community Within two years, Hanford became the world's first plutonium factory. The amazingly complex operation was accomplished with a speed and secrecy unheard of today; few involved knew what they were building. But on August 9, 1945, when the "Fat Man" fell on Nagasaki, the workers understood their part in changing the world. Hanford's role did not end there. The facility produced plutonium throughout the Cold War. Some was used in tests conducted halfway around the world. Nuclear bombs were dropped on the Bikini and Enewetak Atolls, profoundly impacting the Marshall Islands people and forever altering their way of life. 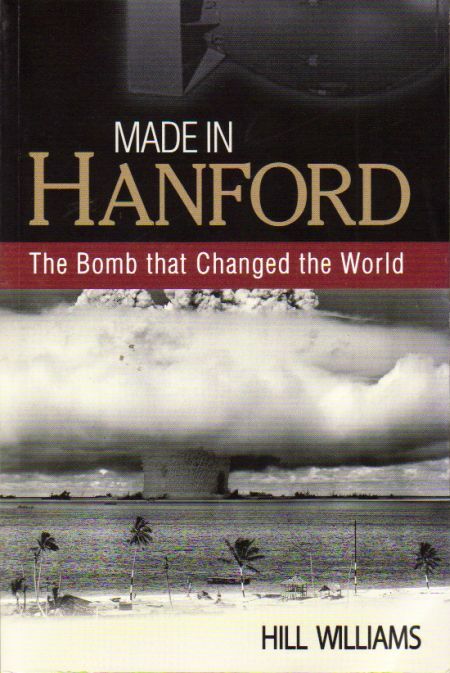 Through clear scientific explanations and personal reminiscences, Hill Williams traces Hanford's role in the story of the plutonium bomb. Hill Williams was reared in Pasco, Washington. He is a former Seattle Times science writer and the award-winning author of the WSU Press bestseller, The Restless Northwest.